The cost of driving has been increasing year-on-year, pretty much since forever, and can be a sore point for people try to budget. There’s no way to predict by how much your costs will rise next year but most people have become accustomed to yearly rises by now. There are however a number of ways that motorists can cut their driving costs significantly, with only a little effort. The cost of oil/fuel is, naturally, always going to fluctuate, but if you reduce the amount of fuel used then your costs will, quite obviously, go down. A carpool is a recommended method by many experts and, even if your workplace does not have one currently, there are many websites that help you set one up. If you don’t fancy the concept of carpooling with colleagues then there are alternatives – for example cycling or public transport. Both will save a lot of cash and help the environment at the same time. 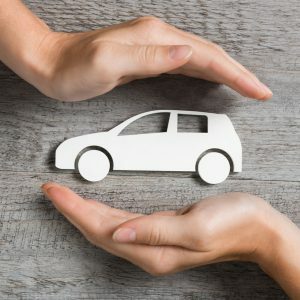 Many of us have “winter” and “summer” vehicles – but the costs of owning multiple vehicles in the same household is very high – ask yourself if they are necessary. Some households will have one car per family member if the children are older, this is a colossal waste of money in many cases as only one car will be used at a time. Selling an underused vehicle will not only generate some cash from the sale but also reduce the insurance costs, tax costs, and of course fuel costs – plus all the additional servicing, MOTs and so on. In short, it’s a huge saving! If your vehicle is on finance and you’re still paying off the premiums at 6.9% APR, it’d probably be cheaper to refinance it. An easy way to do this is via your mortgage – the rate you’re paying will probably be half or even a third of the interest rate on a vehicle finance package. It may not sound like much of a saving but over the course of 3 years, refinancing a car in the second year will save you around £1200 on the average family saloon. All it takes is a phone call to the bank/mortgage provider, and another to the car finance company… can you name any other method of saving over a grand with such little effort? We’ve all heard that replacing tyres that are worn down or under-inflated, with brand spanking new ones will cut our vehicle emissions – but by how much, exactly? Luckily, according to the RAC, there’s a very simple formula for working this out – if any tyre is under-inflated by 20% then the fuel consumption and CO2 emissions also increase by 20%. Or to put it into pounds and pennies, that’s about £13.52 a month you’re throwing away by having at least one under-inflated tyre (the average monthly fuel spend is £67.63). Surprisingly the quality of the tyres themselves might not make much of a difference to running costs – in other words, do cheap tyres cost more overall (accounting for efficiency ratings, emissions etc)? The answer is, not really. According to this website, the average budget brand of tyre is just as efficient as the premium brands, generally speaking. If you’re worried about safety then consider a ‘mid-range’ brand. It might not sound much but over the course of 35 months (the average timeframe that Britons keep a new car) having at least one under-inflated tyre works out at a quite staggering £486 being thrown down the drain – money that many of us need right now to spend on other essentials.